We Transform Everyday Spaces Into Inspiring Places Throughout Santa Barbara. Does your house need a makeover, but you are not sure where to start? 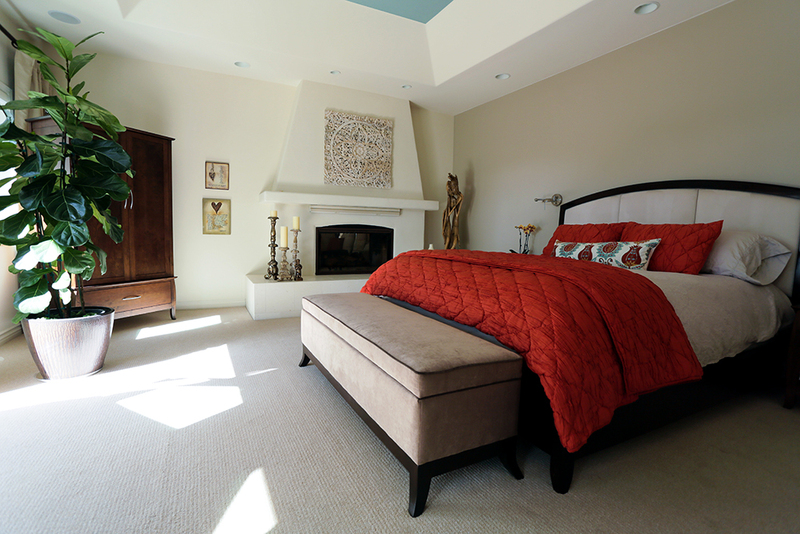 We are here to assist you with all your Santa Barbara home interior design needs. From redesigning one room to showcase its focal point and giving it the styled look you desire, to an entire home remodel project, Simply Redesigned is here to make your vision a reality. In our first meeting our interior designer will discuss your vision and goals so we can implement them within your budget and timeline. Best of all, we make home design simple by guiding you through the decision process that comes with interior design. This keeps the transformation process fun and ensures the outcome shows your unique personality – turning your house into the home of your dreams. We provide interior design services throughout Santa Barbara, Goleta, Hope Ranch, Montecito, Summerland, Carpinteria, and Santa Ynes Valley. Karin has an amazing vision and we couldn’t be happier with her creative ideas that have transformed our home with potential into the home of our dreams. Her calming and confident demeanor was exactly what we needed when we took on the biggest project of our lives and felt completely overwhelmed. We purchased a large tri level view home that needed a vision to create an open concept floor plan that maximized the ocean views. I was so happy Karin was involved from the very beginning because she was able to help us explore all the options to create flow, beauty and efficiency in each room before we started knocking down walls. I am so thankful for her patience as we explored every possible choice of flooring, cabinetry, windows, lighting etc. (I am a perfectionist and so is she!). She provided invaluable guidance in working with contractors and vendors and in making all the zillions of decisions that came up every day. We now have our dream house and a space that perfectly matches our lifestyle. Thank you Karin! Working with Karin is truly a pleasure! She did a wonderful job identifying my style and preferences and incorporating these into her recommendations for our bathroom remodel. With her guidance and expertise, our dated and tired looking master and guest bathrooms were transformed into contemporary, serene spa retreats. Karin is very knowledge of local suppliers and contractors. She has an excellent sense of color and design as well as an extraordinary ability to envision creative and beautiful possibilities. I can’t wait to enlist her help in redesigning our kitchen. Thank you for your help and inspiration with our redesign! It is so hard to see your own house objectively, but you always have a clear vision of what is possible and have a special talent for making each room warm, unique and homey. We love our family room and living room redesigns and get lots of compliments. 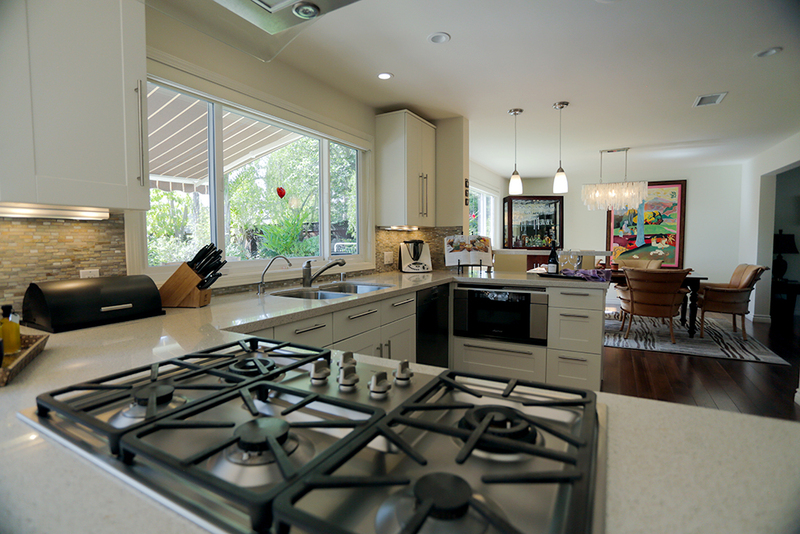 The work you did on your own home remodel is one of the most comprehensive and best remodels I have ever seen. Your vision and taste is outstanding. From the vision on how to make an outdated 70s style home a zen retreat, to the selection of tiles, floors, artwork and appliances it is really a masterpiece. “Simply Redesigned” says it all. Karin is simply elegant & makes design seem simple. She has an elegant way about her that will transform your house into a home. Hire Karin for all of your staging & decorating needs and you won’t be disappointed. Thank you from the bottom of my heart for your marathon effort in preparing my house for sale. Not only was your exquisite taste, pitch perfect color sense and eye for the small details a perfect fit with my home’s architectural design, but you were able to help me prioritize my own renovation tasks for maximum visual impact. It was an amazing transformation, thoroughly executed, and just plain beautiful. My only regret is that I do not get to live in the redesigned space! As an architect who has worked in the residential design field for decades, I must admit that my eye for color and detail will never be the same, thanks to you. It was a joy to work with you and honestly it was a brilliant financial success. Thank you! Creative, efficient, and timely, that is how I would describe Karin! When planning our children’s play room we contacted Karin. Karin came in and helped develop a plan that was stylish, creative in maximizing storage space, and provided a plan and execution in a short time period. Simply Redesigned is excited to help you with both your small or large interior & home design project in the Santa Barbara area. We keep up with trends, and offer guidance in blending existing pieces that you love with new décor that reflects your personal style. Often picking a new paint color for the interior or exterior of your home makes a dramatic impact, but with all the choices it can be overwhelming. We specialize in color consultation and can help make your favorite pieces focal points that come to life in a whole new way. We help you add extra touches such as accent pieces, pillows and art work to tie everything together and give your home an updated and styled look. If you decide to remodel all or part of your house, Simply Redesigned will be your partner and help you make the numerous decisions that accompany a home renovation project. We will help you visualize your design goals and work with you to select the paint colors, flooring, fixtures, etc. that fit within your style, budget and timeline. Our experience blending beauty and function will ensure that your remodeled home becomes a space that truly reflects your personality and lifestyle. 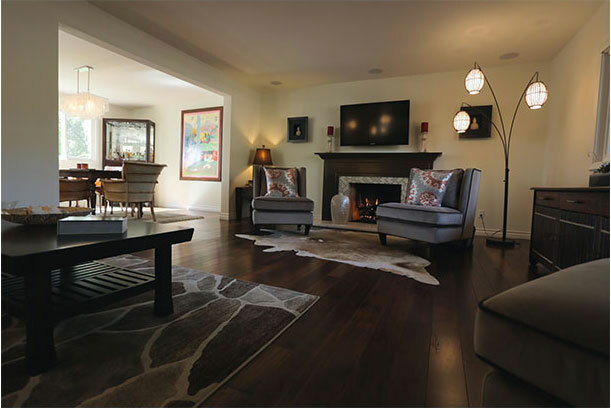 Simply Redesigned provides interior design services throughout the Santa Barbara area. Led by Interior Designer Karin Ucer you can rest assured that your project will receive every bit of attention to detail as though it was Karin’s own home. Simply Redesigned proudly serves Santa Barbara, Hope Ranch, Montecito, Summerland, Carpinteria, and the Santa Ynes Valley. Simply Redesigned provides excellent interior and home design services to help you with all your interior and exterior home design needs. We are qualified in Interior Design, Exterior Design, Home Decorating, and Home Staging. We proudly serve the communities of Santa Barbara, Goleta, Hope Ranch, Montecito, Summerland, Carpinteria, and Santa Ynes Valley.